Do you see dull skin, clogged pores, blackheads, white acne puce, flaky, dry or overly oily skin — or anything in-between? It’s time to take a look at the revolutionary HydraFacial® MD and the benefits of this med spa treatment. At Treuvís Eyes Nails Body Laser Spa in Clinton Township, Michigan, you can get a personalized HydraFacial treatment based on your specific needs and skin concerns. A bonus with this treatment is you’ll leave the spa immediately looking more radiant and renewed after your first HydraFacial treatment and the glow to your face getting brighter the days following! To book, click on the online scheduler or call the spa directly. A HydraFacial combines traditional facial and peel techniques into one revolutionary service. This invigorating treatment uses a specialized tool to deliver rapid pulses of cleansers, moisturizers, peptides, and serums deep into your skin, based on your needs. Not only do these rapid HydraFacial pulses help clean out your pores, extract blackhead debris, help to reduce pore size, soften facial lines and also stimulates blood flow so your skin gets the vital nutrients and peptides it needs to become fully rejuvenated. The HydraFacial MD treatment is completely tailored to your skin care needs and concerns. After your first treatment, enjoy how your skin feels entirely smoother, brighter, clean, refreshed, renewed; giving you an immediate and visibly brighter skin and with a softer youthful look, turning back the hands of time! How can a HydraFacial MD help me? Plus, HydraFacial is safe and non-irritating if you have sensitive skin or chronic inflammation. A HydraFacial offers all of these benefits — and more — in as little as one 30-minute with our traditional HydraFacial treatment and this luxurious treatment is a favorite at Treuvís Eyes Nails Body Laser Spa. Also available is our 60-minute “Platinum HydraFacial” which takes your treatment to the next level of a Luxury Spa Rejuvenation, add on choice of either the HydraFacial “Perk Treatment” with our KISS lip treatment or a WINK eye treatment, plus an additional hydration mask and finish your Platinum HyrdraFacial MD with a relaxing Décolleté and neck massage to complete this amazing spa treatment. For optimal results, add a microdermabrasion treatment to your HydraFacial MD treatment giving you added benefits revising the hands of time with a more youthful, refreshed and renewed look and feel to your face that you will see immediately. Is there any downtime after a HydraFacial MD? No, you can go right back to work and your regular daily activities after a HydraFacial MD. The traditional Hydrafacial treatment is designed to be fast and efficient, so you can get the benefits you need without having to take away too much time from your busy schedule. 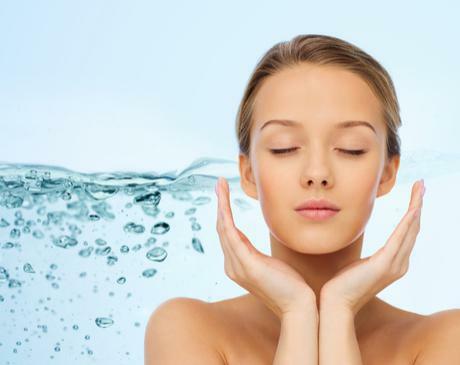 After your first HydraFacial treatment at Treuvís Eyes Nails Body Laser Spa in Clinton Township, you will notice that your skin is clean, refreshed, even-toned, radiant, and brightly glowing. HydraFacial treatments will give you the best skin of your life! 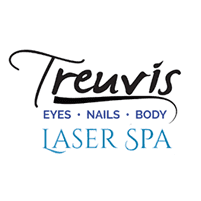 Schedule your skin rejuvenating HydraFacial MD at Treuvís Eyes Nails Body Laser Spa today. Book online or over the phone.